Calsonic blue, Autobacs orange, Takata green. Show any Millennial gearhead these racing liveries and they'll recognize them faster than a Baby Boomer can scream "Gulf!" It matters not to these youngsters that their beloved red and silver Zent racers advertise a chain of seedy Japanese pachinko casinos, (a fact most native English speakers aren't aware of) or that they'll never set foot in one, what's important is that these cars raced in SuperGT. 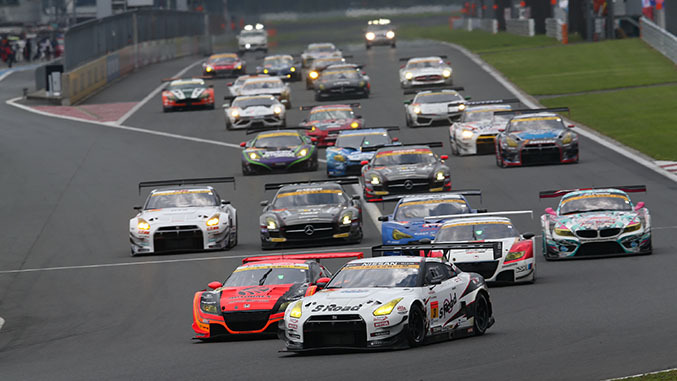 Sometimes called Japanese NASCAR by westerners grasping for a comparison, SuperGT is Japan's top domestic series of motorsports. The analogy isn't entirely accurate, though. Sure, there are weight handicaps for points leaders, plenty of paint-tradin' action, and it features the nation's biggest automakers duking it out for "Race on Sunday, sell on Monday" glory, but SuperGT cars — Toyota Supras, Nissan Skyline GT-Rs, Honda NSXes and the like — were all fairly different from one another and occasionally even turned right. In its heyday, the series was called the Japanese Grand Touring Championships, or JGTC, itself an evolution of the Japan Sports Prototype Championships. The JSPC began in 1983 and ran for 10 years. The cars, machines like the Mazda 787 and Porsche 962, were simultaneously eligible for Group C and IMSA GTP, but by the end of the 1992 season costs had exploded to insane proportions, leading to the series' dissolution. A year later, Group C and GTP would shutter operations as well. Around the same time, the hugely popular Group A Japan Touring Car Championships was also winding down. While JTCC also featured highly modified machinery, the cars resembled ones you could actually buy. The fact that a Japanese fan could go to the showroom and purchase a Toyota AE86 or Honda Civic SiR, spend a few thousand yen tricking it out, and end up with something not that far off from a Group A racer was a boon to Japan's rapidly growing aftermarket industry. JTCC allowed foreign marques as well, and the Ford Sierra Cosworth and E30 BMW M3 were among its popular contenders. 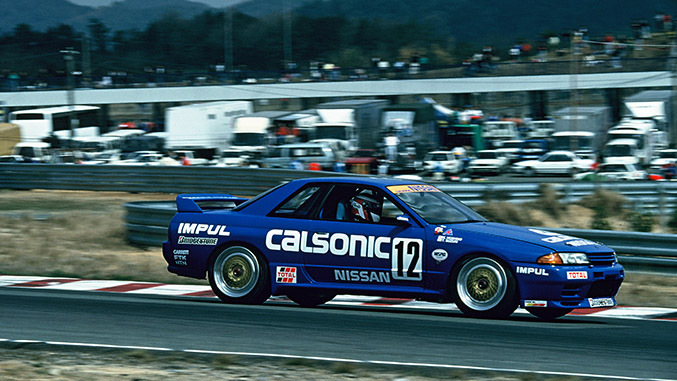 However, once the R32 Nissan Skyline GT-R debuted in 1989, it dominated in every sense of the word. Over the next four years until the JTCC's end, it won every single race it competed in. This is one of the main reasons why Godzilla is so revered in Japan, but it made for rather uninteresting racing in the eyes of other manufacturers. These were lessons the newly formed JGTC would take to heart as it became Japan's new premier racing series. Cars were divided into two classes, GT500 and GT300, which are still used to this day. The GT500 class consisted of the halo cars from Japan's major automakers, each running engines of their own design. Though be-winged and wide-bodied, they were still unmistakably related to their road-going counterparts. Various configurations and a fairly loose set of rules allowed manufacturers to really build their dream cars the way they wanted. Honda's NSX, for example, stuck true to its mid-engined layout, powered by a naturally aspirated 3.5-liter dry sump V6. Fed by a gaping, roof-mounted snorkel, the engine was mounted both transversely (as in the street car) and longitudinally in various configurations over the years. Decorated in the electric blue of obscure lighting supplier Raybrig, the bright green of safety systems manufacturer Takata, or the white of Mobil 1 oil, they became icons to any self-respecting Honda head. It also catapulted those brands to the forefront of the global aftermarket community, inspiring thousands of Integra owners to install blue Raybrig bulbs or green Takata harnesses. Toyota, on the other hand, took their Supra Twin Turbo, ripped out the legendary forced-induction straight-six and dropped in a 5.2-liter V8. Based on the ubiquitous powerplant from Lexus's lineup, it was all allowable under the rulebook, which said any engine was legal as long as it was built by the same manufacturer. Toyota tried a number of setups, including a 4.5 liters V8 and even a 2.0-liter turbocharged inline-four, which ended up winning the championships that year against a McLaren F1. With a fire-spitting side-dump exhaust, the Supra's red-on-white Denso, red-and-green-on-white Castrol and orange-on-silver Cerumo liveries became crowd favorites. Nissan's entrant was the Skyline GT-R, and like Toyota they abandoned the inline-six the street model was known for. In its place was a 3.0-liter V6 strapped with twin turbos in a setup closer to that of the modern GT-R's. Teams later switched to a 4.5-liter V8 derived from the Infiniti's Q45. 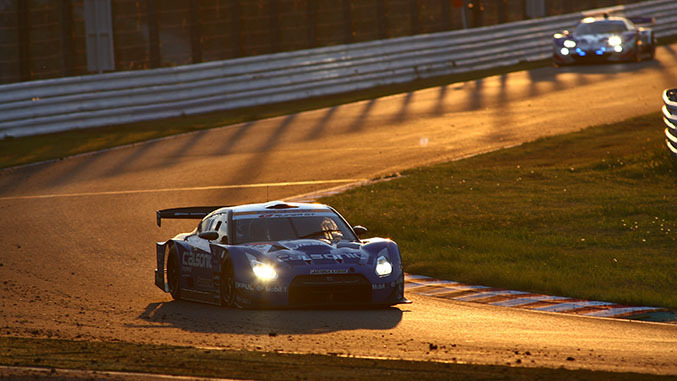 Slathered in the Calsonic bright blue, Pennzoil yellow, and the searing orange of aftermarket superstore Autobacs, the GT-R once again became the winningest car in JGTC. This time though, it wasn't a clean sweep. Toyota took several championships, as did Honda, developing an intense rivalry among the big three. Organizers guaranteed fans would witness closely fought wheel-to-wheel battles by handicapping leaders with so-called "success ballast," but as the name implies, all GT500 cars were all limited to 500 horsepower. Most could generate far more than that, but intake restrictors of varying sizes were used to keep the cars evenly matched. Some may criticize Lamborghini for lack of a racing history but for a decade starting in the mid-90s, GT500 was the only place in the world one could routinely see Diablos (and later, Murcielagos) on the racetrack. Several foreign companies ran halo cars, including the Ferrari F40, Porsche 911 and Dodge Viper, but the only non-Japanese automaker to win a championship was McLaren with their F1 GTR in 1996. The GT300 class cars produced — you guessed it — 300 hp. Again, near total freedom of configuration and engine types was allowed as long as the car ended up with the designated amount of horses. 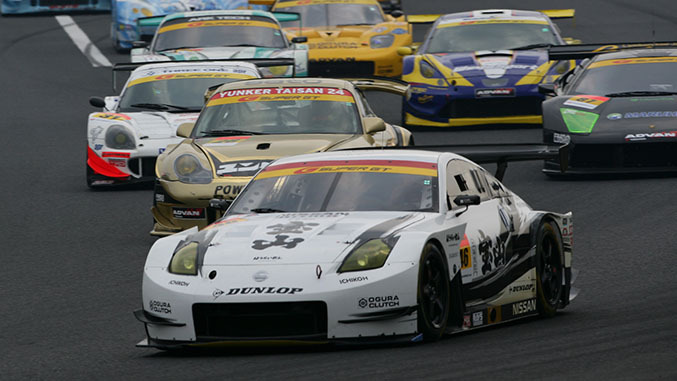 The GT300 field was comprised of cars as diverse as the Mazda RX-7, Toyota MR2, Nissan Silvia (240SX), Subaru Impreza, Corvette, Porsche Boxster, Ferrari F430 and Lamborghini Gallardo. So why does all this speak so dearly to the Gen Y car nut? Two words: Gran Turismo. The Playstation racing simulator franchise debuted in 1997 during the height of the tuner boom. Souper uppers of Preludes and MR2s were already dreaming of unattainable Japanese halo cars, and suddenly such machines were at their fingertips, in pixels. At a time when most auto-themed video games had a dozen virtual rides to choose from, Gran Turismo provided hundreds, licensed from actual automakers. Of course, being a Japanese production, the bulk of in-game choices came from Honda, Nissan, Toyota and other domestic manufacturers. The second installment, released in 1999, secured a JGTC license and introduced millions of loyal gamers to 500-horsepower versions of already-droolworthy cars. Machines like Calsonic GT-R, Denso SARD Supra and Takata NSX were the most powerful in the game and quickly became weapons of choice for aspiring living room racers. The timing couldn't have been better. The internet was becoming widespread, and enthusiasts were hungry for information about the Japanese car scene. JGTC cars were the ultimate expression of the elusive "JDM" dream machine. The craze even yielded a line of JGTC diecast cars sold at every Target in the country, as well as a one-time exhibition race in southern California. However, as the 90s wore on the Japanese economy floundered and automakers began to shy away from sports cars. After the Supra was killed off, Toyota's contribution to SuperGT grid was a car whose street legal counterpart no one would consider racy, the Lexus SC430. Though the luxo-convertible did quite well, the disconnect between SuperGT race car and road car turned fans off. Nissan at least had the 350Z to hold it over until the GT-R was reborn, while Honda continued to field the NSX until 2009, four years after the model had ended production. By 2004, audiences were dwindling and the organization was saddled with debt. However, JGTC was able to capitalize on the international popularity of its cars and their familiar liveries spawned by Gran Turismo. The organizers began holding points-awarding races in nearby countries like Malaysia and Thailand. 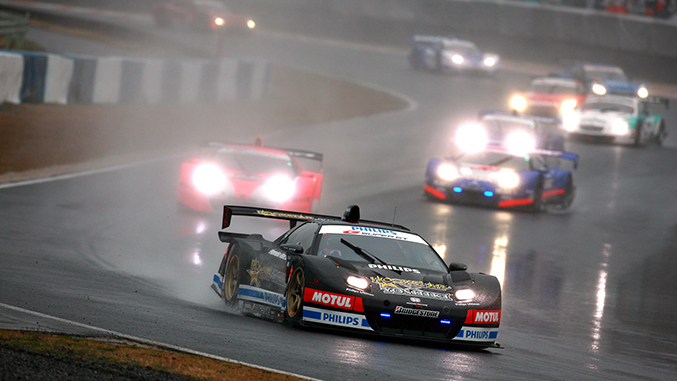 In order to comply with FIA rules about what qualifies as a domestic race series, the JGTC name was dropped and re-christened SuperGT in 2005. 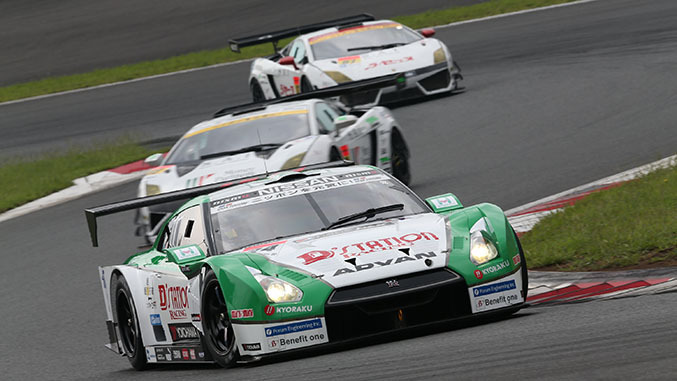 With the Japanese sports car market now returning, the SuperGT lineup is looking sharp again. In GT300, the Subaru BRZ and Honda CR-Z are reviving domestic participation while new imports like the BMW Z4 and Aston Martin Vantage are shaking things up. Honda finally put the old NSX out to pasture and returned to GT500 with the HSV-010, a car based on the next-generation NSX concept. Nissan soldiers on with the GT-R, and for 2014 Toyota has entered its latest sports coupe, the Lexus RC F.
Nevertheless, in order to keep costs down SuperGT has instituted new rules as well. All engines are now similar 2.0-liter turbocharged four-cylinders, and in GT300 it was just revealed last month that a carbon-fiber "mother chassis" will soon become the universal monocoque tub underpinning all racers. It's not clear how this will affect racing yet, but perhaps after 20 years SuperGT is becoming a bit NASCAR-y after all.